At Veeam, our customers are our number one priority and their feedback helps us continuously improve our business. 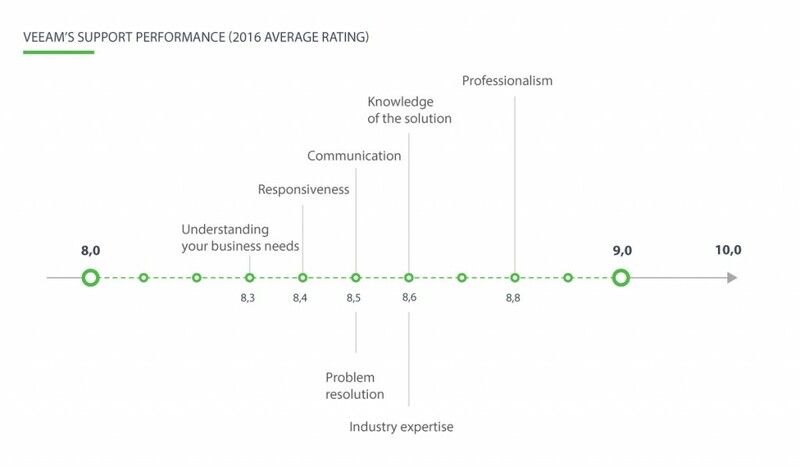 Veeam’s annual Customer Satisfaction Survey shares important feedback on how our customers feel about Veeam’s products and services. The results are in for our 2016 survey and we are excited to share them with you today! An organization’s Net Promoter Score boils down to one simple question — How likely is it that you would recommend Veeam to a friend or colleague? The answer to this question, translated into numbers, represents customer loyalty and the likelihood of that customer recommending Veeam products and services to others. Net Promoter Scores (NPS) can range from -100 to +100, with +50 being an excellent result. Currently, the average Net Promoter Score within our industry is 31.8. For the second year in a row, we are thrilled to report that Veeam’s NPS of 61 has exceeded the industry average by almost 2x, proving the willingness of our customers to publicly recommend Veeam! 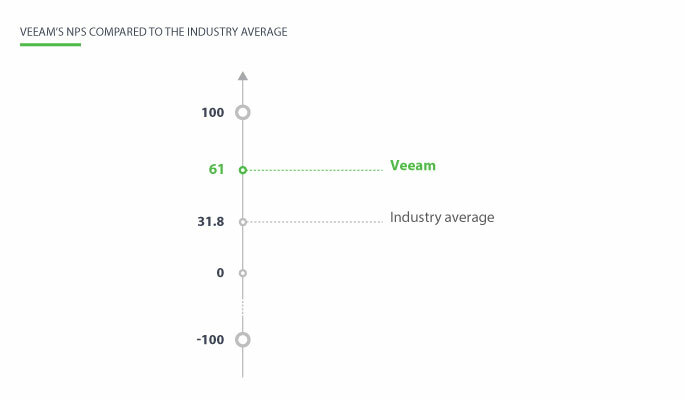 Veeam’s overall customer satisfaction rate was 8.6 out of 10, continuing a three-year upward trend. Our customers’ willingness to recommend Veeam continued to increase from a high 8.7 ranking in 2015 to an even higher 8.8 out of 10 for 2016. 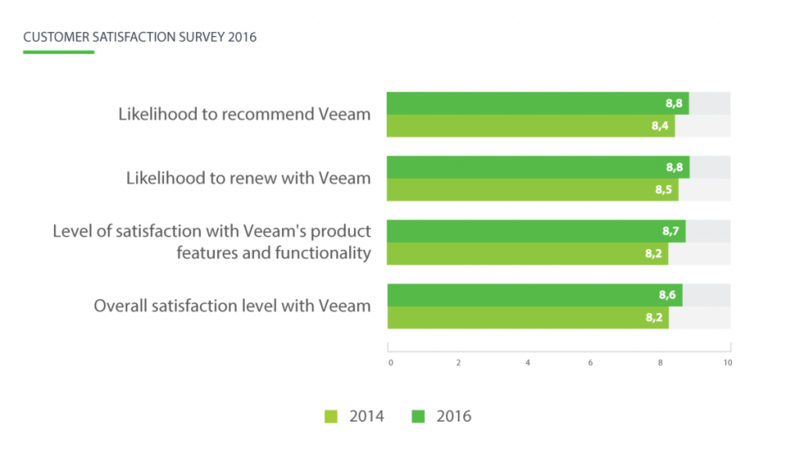 Overall satisfaction with Veeam product features and functionality also continued a three-year upward trend increasing from 8.4 out of 10 in 2015 to an average of 8.7 out of 10 in 2016. 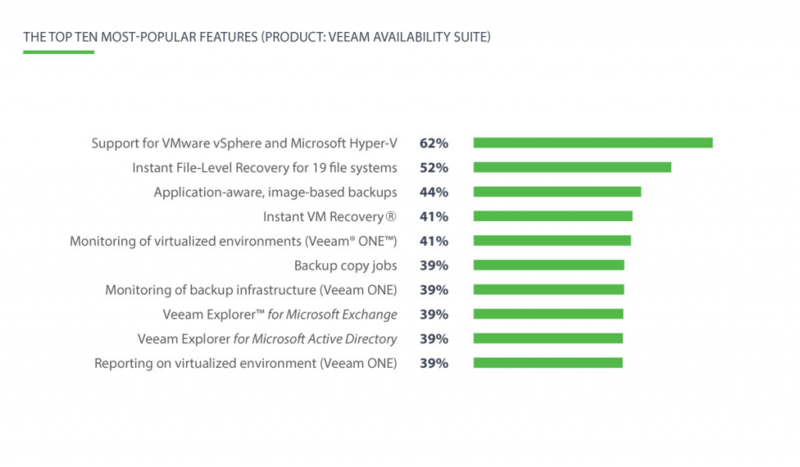 When asked about their all-time favorite features of Veeam Availability Suite, respondents placed Support for VMware vSphere and Microsoft Hyper-V, Instant File-Level Recovery for 19 file systems and Application-aware, image-based backups at the top of their lists. This chart represents the total number of times that respondents gave each feature a 10 rating. 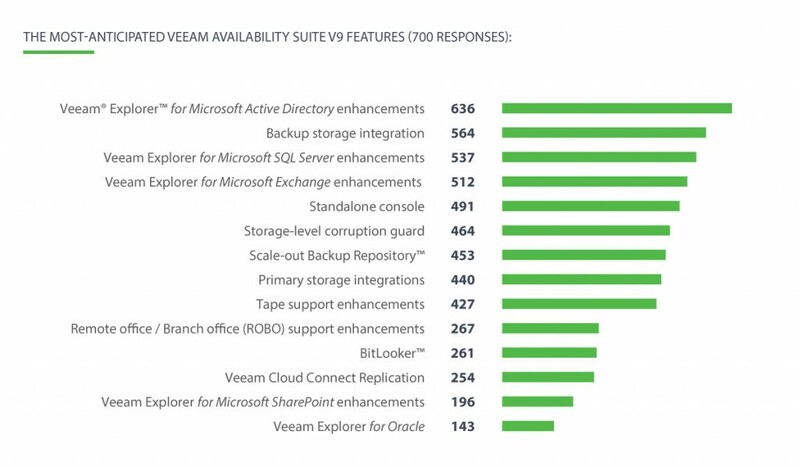 Veeam understands the importance of quality customer support, and it shows! The 2016 survey participants were very pleased with the technical and customer assistance Veeam provides them on a daily basis, evaluating support performance with an average score of 8.3 out of 10 and higher. 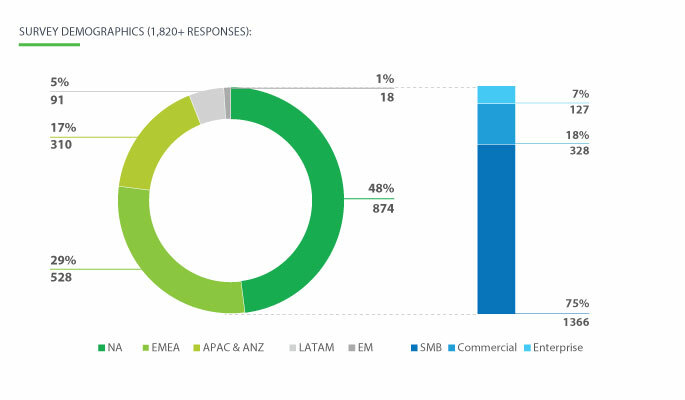 Almost half of the participants, 48%, were from North America, 29% from EMEA, 17% from APAC & ANZ, 5% from LATAM and 1% from emerging markets. Our survey respondents work for companies of all sizes: 75% at SMBs, 18% at commercial and 7% at enterprise. 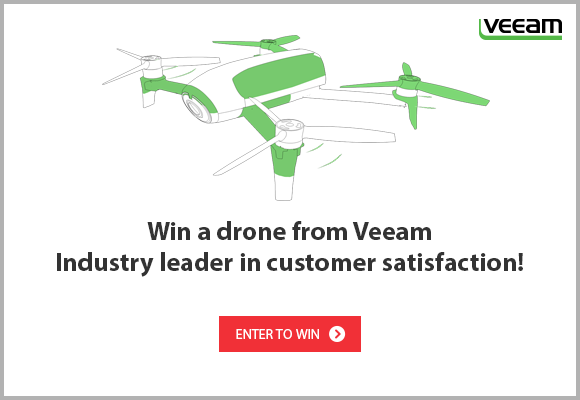 Show us your knowledge and discover even more interesting facts about Veeam by completing our card matching game and then entering your name for a chance to win one of 11, state-of-the-art Parrot flying-camera drones featuring a 14 megapixel camera, and the latest GPS tracking technology — a must have for every active person that LOVES the outdoors and filming their adventures! Do you have a success story you would like to share about Veeam? Share it with us in the comments section below or tweet us @Veeam.